Have you ever wanted to write a romance? How about doing it in 30 days? 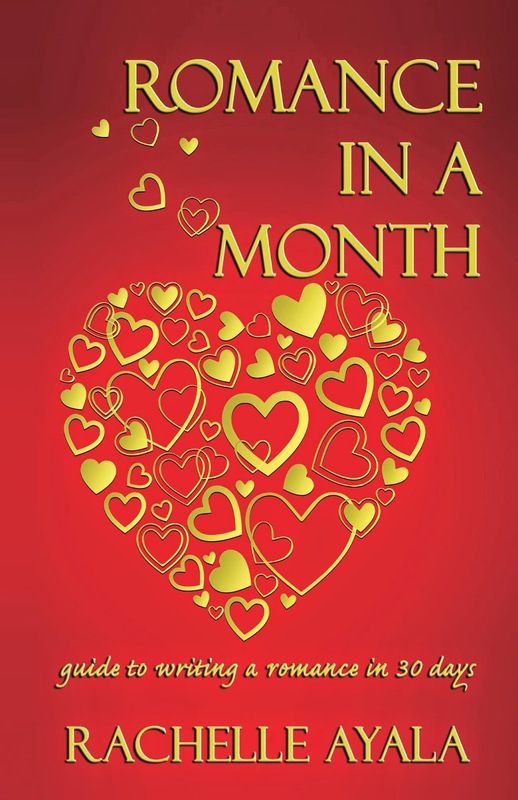 #RomanceInAMonth is a method of writing a single plotline romantic story in a month's time. I believe everyone has a story, in fact, multiple stories, and all they need is to focus, learn the techniques, and pump their story out. 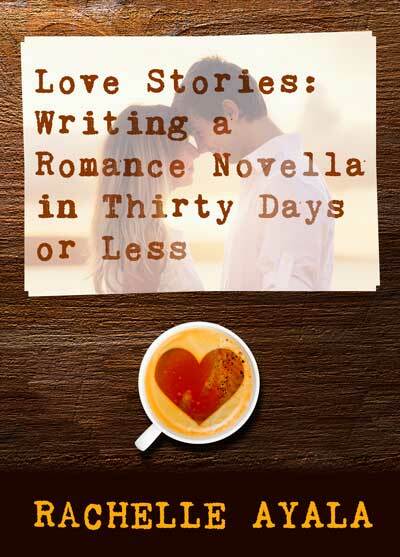 In this book, you'll learn a simple method of writing a romance in a short period of time. You'll also discover why writing alongside a group of like-minded authors is a great way to enhance your productivity as well as raise your spirits, not to mention give you help and assistance along your writing and publishing journey. A lot of it starts with you, your beliefs, desires, and faith in yourself. However couple that with tried techniques and using processes which work, you can take your writing to the next level, complete your romance stories at a faster pace, and do so regularly. Romance In A Month is a method of writing a romance novel with the help of a community of writers. Our goal is to finish a single plotline romance in a month of writing time. Learn the basics of writing a romance, characterization, plot points, motivation and goals, and how to speed up your writing by using common romance tropes and archetypes. Exercises, slides, and examples are also included to guide you in creating your own unique romance. Form your own group of writers to encourage and pace each other. There's strength in numbers, and this guide book will show you how to successfully and consistently write along with a group. 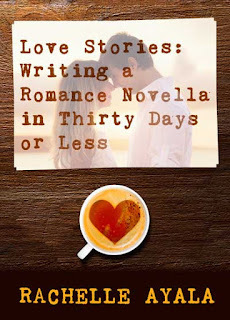 So start your romance writing journey today with this must- have resource guide to write a romance in thirty days. I really enjoyed the camaraderie between the participants, and I made some connections that I hope will last beyond this class. I loved the class and will do it again. I am looking forward to finishing and sharing with the other authors and hearing their comments on my book. Count me In. It’s the only way to write. I’m a lifer now!! Loved the daily questions. Gave me lots to think about. I joined the class late so I didn’t start a book but it helped me brainstorm for the book I want to write. This class got me back in the habit of writing every day. The group environment and daily postings of writing progress helped with motivation and accountability without turning it into a competition. Rachelle’s daily questions about the hero/heroine helped me think deeper about my characters. All in all, a great experience. The class helped me because I wanted to make a daily quota of words/scenes. I liked providing an update. I wrote every single day without worry about revision. I just wrote a story, and it’s been a long time since I simply wrote without worrying about outcomes. Thank you, Rachelle. This class helped me get back to the basics of telling a story without complicating with lots of characters, conflicts, and plot lines. That’s a good thing. #romanceinamonth was a fun, supportive environment to be a part of. The assignment helped get my creative juices flowing and had me totally thinking outside the box! · To create unforgettable characters? The kind readers talk about well after the book is finished? · Your characters to jump off the page and tell you what they like and dislike? · To make your characters multi-dimensional, complicated, deeper, and larger than life? · Create compelling quirks, flaws, and internal conflicts to differentiate your characters? · To keep your story from being predictable by having your character surprise you and your reader? · To hear readers tell you they walked with your characters, lived, loved, and felt every emotion your character experienced? · To have an ongoing relationship with your characters so you can keep them consistent if writing a series? 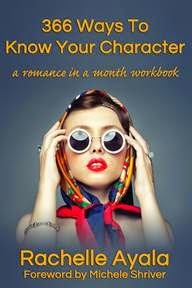 366 Ways to Know Your Character is the right workbook for you. Whether you’re developing your character before writing, or working it out as you’re writing, answering the daily questions can stimulate your characters to surprise and shock you as well as take your story in directions you might not have expected. Each question is designed to draw you deeper into your character’s psyche. It doesn’t matter whether the answer jumps out at you or that you must painfully dig it out. Either way, you will win new insights into your characters until they feel and act like real people. Keep your name in front of your readers with more releases and titles? Learn why you should write shorter in order to write quicker? Meet and exceed your yearly writing goals? 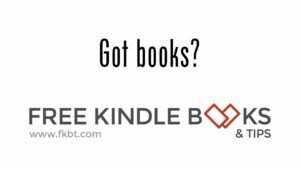 Participate in multi-author boxed sets for increased visibility and profit? Claim your fair share of your reader’s attention span in today’s tsunami of books by producing a series of novellas or episodic serials? Make more money while writing less? If you do, you must master the art of writing shorter works while still providing your readers that great experience of your personal brand of storytelling and character voice. This book teaches you how to write an effective and engaging romance novella in a few short weeks. Learn the seven milestones that every novella must have, the difference between a novella and a novel, and how to condense a plotline from novel-length to novella. Includes a step-by-step method, a schedule, tips and tricks, as well as pitfalls to avoid. You will be able to consistently create high quality stories that will entertain and enrich your readers and jumpstart your career to greater heights. Shared link on my Author Page! Thanks Christina! will you be writing along with us come Sept? Loved this class, loved the book! Can't wait for the next round!